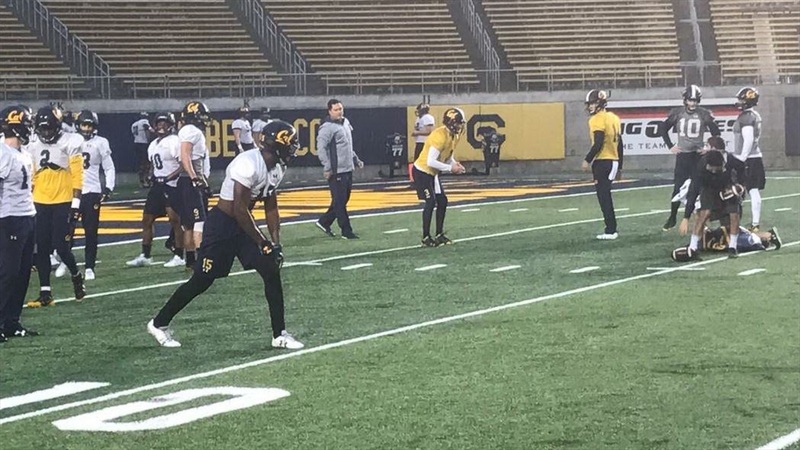 Cal began to wrap up preparation for Saturday's Big Game with a spirited workout Wednesday at Memorial Stadium. "A really good practice, having the bye week, getting our bodies back a little bit, our legs, bouncing around really well, playing fast," head coach Justin Wilcox said. "Yesterday was a real physical day, today was a fast day. We have been really sharp mentally and physically. It's been a really good week." Defensive coordinator Tim DeRuyter agreed. "The legs seem to be fresh again," he said.